This community has outstanding initial support. In fact, it was one of the finalists for my dad. However, I learned that this community doesn't support limited mobility residents very well so keep that in mind. Compared to the other three communities I visited, the staff here were adequate, but didn't seem truly engaged like they were at the other three. And then I didn't receive a response to an email I sent with a question. I truly get that family members can be really inquisitive and be time intensive when searching for a community, but for me, it felt like once the initial sales process was complete and I started asking tough questions, responses were absent. At the other facilities, I always received an answer and continued outreach. 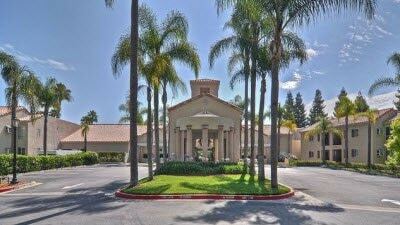 I would recommend this community for independent living or minor assisted living. The best way to get to know a community is by scheduling a tour. See the facilities, meet the staff and residents, and get a feel first hand what it's like to live at The Wellington Assisted Living. An elegant, four-story community surrounded by eight acres of meticulously manicured grounds, The Wellington, located in Laguna Hills, is an excellent senior living community that offers accommodations and services for both independent living and assisted living. Medical services are available just a short distance away at Saddleback and Mission Hospitals, while bookstores, supermarkets, pharmacies and other local shopping spots are less than two miles away. The Wellington is a part of Vintage Senior Living. A company that puts an emphasis on “living,” the mission of Vintage Senior Living is to help residents thrive in mind, body and spirit through our amazing programs and dedicated staff members. While enjoying their stay at The Wellington, residents have a number of amenities at their disposal. Our large heated pool and spa areas are great for outdoor relaxation, while our putting green surrounded by giant redwoods is ideal for golf enthusiasts to practice. Our community has a wide selection of accommodation options to choose from, ranging from studio and one-bedroom layouts to larger two-bedroom apartments. All accommodations come with private baths, fully equipped kitchens, basic cable and emergency call systems. We provide delicious meals daily in our restaurant-style dining room. Here, residents choose meals from a gracious selection of menu options, with special arrangements available for specific dietary needs. Private residences are provided with weekly housekeeping and linen services, as well as regular home maintenance checks. Transportation for reaching appointments or running errands can be arranged through our concierge. For the convenience of our residents, we provide salon and barber services on site. Individuals in need of assistance with daily tasks receive tailored services that are designed to meet their preferences and needs. This may include a helping hand with medication management, dressing, ambulation, personal hygiene and other activities of daily living. A beautiful community in a peaceful setting, The Wellington is a great option for Laguna Hills seniors seeking independent living or assisted living accommodations and services.